Cam Cricket Club is an established, ambitious and successful club with strong family and community links. We welcome everyone warmly (old and new) to the club. We look forward to an exciting season in 2019 with the 1st XI attempting to bounce back at the first attempt to County League Div 1. The 2nd XI will look to dominate Stroud Premier Division whilst our other two senior teams will compete in Stroud League 1 and 2. 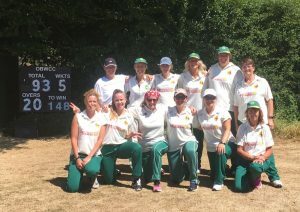 The Cam CC Ladies team will be playing in the Gloucestershire CB Womens league during the 2019 season. We continue to give players the chance to develop and improve. The theme of development is best demonstrated by our thriving junior section developing into our future senior players.